The two-year choreography program is designed to enable choreographers and dance artists to learn, experiment, grow and develop their art. Participants regularly meet with artists and art scholars who support learning and exploration by providing guidance on defining an artistic language and approaches to artistic creation. 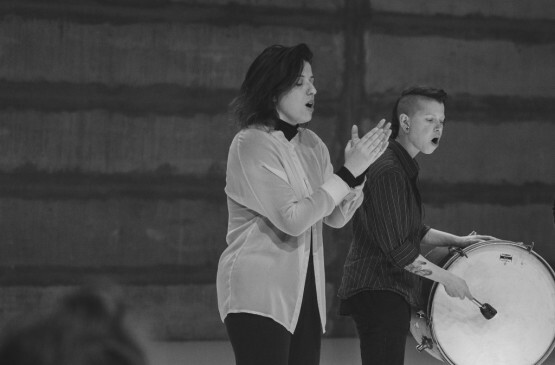 The program encourages creative risk-taking, strengthens physical technique, and fosters a deep understanding of and appreciation for the diverse field of contemporary dance and an autonomous approach to creation and production. Among the teachers: Sharon Zuckerman Weiser, Ido Feder, Lior Avizoor, Dafna Kron, Maya Matilda Carroll, Julyen Hamilton, David Kern, Karmit Burian, Sigal Bergman, Shani Granot, Iris Erez, Michal Samama, Dan Weinstein, Nataly Zukerman, Ohad Fishof, Sigal Zuk, Coralie Ladame, Yair Vardi. The new choreography program opens once every two years. The next program will start in October 2019 and end in June 2021. Registration for the 2020 program will open in May 2019. All candidates must submit a resume, links to previous pieces (filmed performances and pieces/work recorded in the studio will also be accepted), and a one-page personal letter describing their connection to the field of choreographic creation and interest in the choreography program at Kelim. All materials should be sent to: kelimgraphy@gmail.com. Previous works must be shared as links to YouTube or Vimeo. An admissions committee will review the materials, and suitable candidates will be invited for an interview. The first year’s emphasis is on personal research. The year is divided into three trimesters, each dedicated to a different theme. Exploration and experimentation will be focused around a central question/inquiry according to which different approaches and tools will be brought to the forefront. During each trimester the students will create a piece. The director of the program, Sharon Zuckerman Weiser, together with other mentors, will support the students in their creative processes and be available to them during rehearsals. The question of artistic identity is key to every artist’s search. It compels the artist to confront their history, the context and environment in which they live, and their understanding of how personal identity meets artistic identity. Lior Avizoor, dance scholar and former dancer, will open the first trimester with a workshop on ‘models in artistic creation’, which she developed at Kelim. Participants will acquire knowledge of various artists and their different artistic identities and choreographic approaches. During the practical part of the workshop, various aspects of artistic identity will be examined, such as the transformation of sources of inspiration into an actual artistic representation, and the distinction between ‘nature’ vs. ‘nurture’ as different aspects of identity. Improvisation is a central tool in any creative process. Movement created/discovered during an improvisation is based on the dancer’s foundation of accumulated knowledge and experience, which feeds and provides inspiration for improvisation. Therefore, enriching and expanding one’s own improvisational skills develop the artist’s ability to create, as well as their ability to work with or teach/guide others. Through the process of searching for personal-interest and related movement material and shaping it into a choreographed piece, the artist becomes familiar with the different elements that need to be taken into consideration when creating a dance piece. The artist’s choice of material, its arrangement in a certain order, its adaptation and adjustment to time and space, and finally, its presentation- will all be addressed from different angles by the second trimester’s teachers- among them master of improvisation Julyen Hamilton, the dance artist David Kern (a former dancer for William Forsythe), and the Berlin-based dance artist Maya Matilda Carroll. During the second trimester we will discuss additional questions: What is ‘artistic language’? What language is each student choosing to use? How can we utilize our artistic language in different ways? 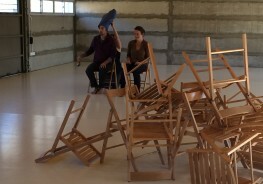 After exploring personal and artistic identity and learning about the different elements of choreographic creation and improvisation, the third trimester will focus on additional tools which can be used in dance, borrowed from other artistic fields such as performance, theater, media and technology, as well as site-specific work. We will consider the relationship between dance and community and discuss the use of dance as a political and social tool. During the third trimester the participants will create the final piece of their first year, in which they will present their personal collage, which may include any combination of elements they choose. Among the third trimester’s teachers are: Dafna Kron, Michal Samama and Karmit Burian. During the second year the emphasis moves from personal exploration and research to hands-on practical experience in choreography and production. During the second year the students will create two pieces. The first piece, in which the choreographer will not participate, will be in collaboration with dancers/performers from outside the program. The second piece will be the final project. During the second year the students will apprentice with a choreographer/dance artist and be paired according to mutual interest. In addition, the program will touch upon the topic of writing papers/proposals/applications and other technical related issues. Students will focus on their own approach, work methods, research and exploration – and each student will be provided with relevant guidance and support. In the last decade the field of dance has gone through a significant transformation. Alongside the developments in physical language, there is a completely new world of dance theory and research that is influencing choreographic approaches and practices. During bi-weekly theory classes students will be exposed to theories of performing arts and “body philosophies” which will enrich students’ somatic research. The school also offers ‘Cinemay’, a monthly evening program led by the choreographer May Zarhi, which will include the screening of a ​full-​length dance piece, followed by a video ​conference interview with the choreographer of the piece. This is an opportunity to become acquittanced with artists from all over the world and their work, and be exposed to diverse artistic thought, approaches and activities. Every day will begin with a morning class. During the program, a variety of teachers will teach different dance and movement techniques, to deepen students’ knowledge of the body and expand their “vocabulary of movement” for the creative process. Independent studio work is critical for the learning process. In the studio we can play, explore and imagine, but it is also a place to evaluate our work habits and confront our difficulties when we have no inspiration. Above all, the studio is a place for creative work, the main goal of the program. During fixed times each week the studios will be available to the students. Mentoring sessions with the program’s teachers will also be provided. An indispensable part of immersing ourselves in the field of dance is meeting local choreographers and dance artists and becoming acquainted with their creative work. The program will invite artists to share their artistic approaches and show excerpts of their work. Some of the participating artists will continue as mentors during the second-year internship. Participating choreographers include: Hillel Kogen, Arkadi Zaides, Yasmeen Godder. 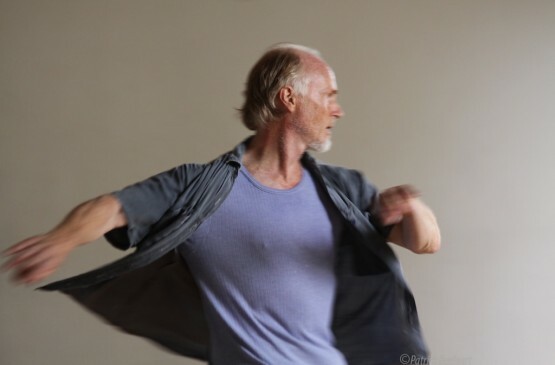 Kelim Choreography Center in Bat Yam is pleased to host researcher and curator, Professor André Lepecki, Chair of the Department of Performance Studies at New York University (NYU). 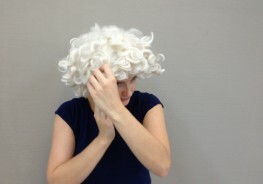 Supported by ARTIS (www.artis.art), the Center for Contemporary Art (CCA) Tel Aviv, and Outset Bialik Residency Israel. 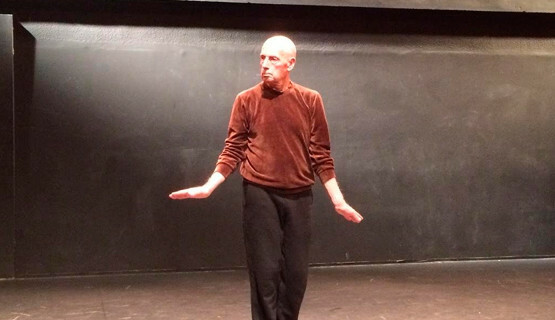 Kelim Choreography Center is happy to host Lepecki, who will lead, for the first time in Israel, two seminars for choreographers, researchers, and curators, as well as a lecture for the general public. This is a rare opportunity to have an in-depth meeting with one of the leading world voices in performance, and specifically dance. 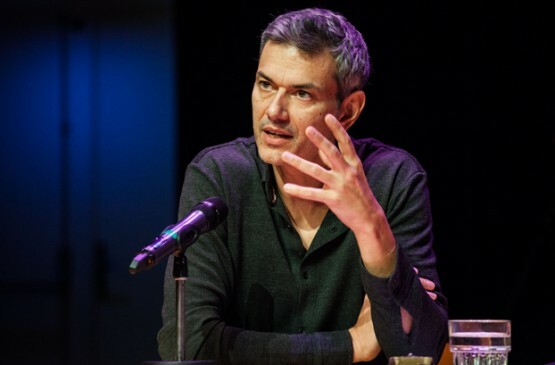 Professor André Lepecki is the editor of several dance and performance theory anthologies, the author of the book “Exhausting Dance: Performance and the Politics of Movement” (translated to Hebrew in 2013) and of “Singularities: Dance in the Age of Performance” (2016). 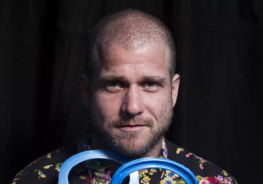 He is a curator of dance and performance events, among them the revived exhibition and performance “18 Happenings in 6 Parts” by Alan Kaprow, for which he received a special prize from the International Association of Critics United States. In 2006, Lepecki’s first book, “Exhausting Dance,” was published. In it Lepecki examines the works of contemporary choreographers in Europe and the United States from the beginning of the 1990s onward. In his encompassing and extraordinary research, Lepecki depicts the way in which a new generation of choreographers challenges the understanding of dance by exhausting the concept of movement. Further, Lepecki clearly noted the intrinsic dialogue within the fields of performance arts, visual art, and critical theory over the past thirty years that caused nothing short of a revolution in the way in which contemporary dance is perceived. 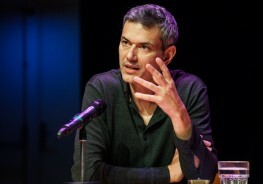 His work as scholar and curator in the decade since has had a significant role in the presence of contemporary dance in leading museums and galleries around the world, and influenced the curatorial approach of festival directors as well as contemporary discourse about dance research and creation. This workshop will provide practices for continuing skills, training and questions one actively pursues in contact improvisation. It is an eclectic, somatic and technical form of dance. We will learn to bridge the integration of our technical dancing, our improvisational self and apply deep listening. Finding the wonder of your partners form, imagination, force and structure, meditating into playfulness and the imagination to work with the skills of flying in space and around each other. We will be working skeletally to find a strong but soft standing body. In Contact improvisation, technique also means resting in passive poses to open the body and to practice the act (art?) of waiting. Much of our focus will be on softening the spaces around our joints, active breathing and receiving the unknown dances from our partners movement maps. My life practice is part improvisation, part social sculpture and somatically based. The work is deeply embedded in trusting the body and tacit knowledge. Can we track our experiences and recreate them through motion? What style or aesthetic is appearing? How far will our physical history carry us in communicating? Together we can create a ceremony of improvisations that share our accumulative nature and history together. In recent years there has been an increase in the number of publications on contemporary dance, indicating that the field of choreography is imbued with theory and lively discourse, and even more importantly, that it has the potential to cultivate new thought and discussion. The reading group will focus on a joint reading of texts with the purpose of bringing to light various current theories. Immersion in current dance theory can be liberating and empowering for choreographers and dance creators. There are few frameworks in which choreographers can come together to discuss cutting-edge texts and ideas on contemporary dance and other related fields. After a two-year break, the reading group is reconvening at Kelim Choreography Center. 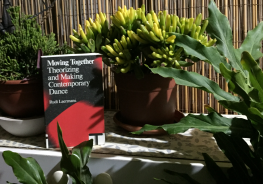 The reading group is open to artists, theorists and writers, who wish to engage in a joint reading of texts on contemporary dance to inform and enrich their creative processes. 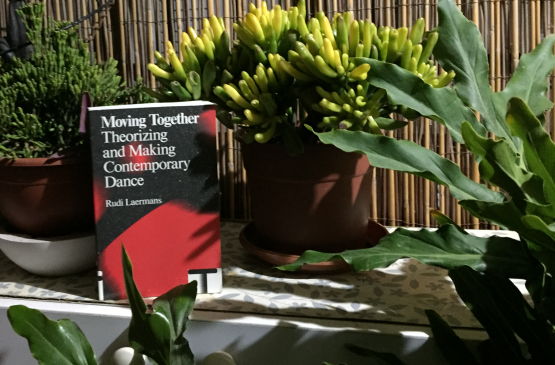 This year the group will read the following books: Moving Together: Making and Theorizing Contemporary Dance, by Rudi Laermans, and Ungoverning Dance: Contemporary European Theatre Dance and the Commons, by Ramsay Burt. The Hebrew translations of these books will be published by Asia Publishers in the coming year. Participants will be required to read the texts prior to the meeting series. Together we will try to create a fruitful discussion about how theory, writing and practice can all influence creative processes, whether be it an art/dance work/ production or research/writing project. 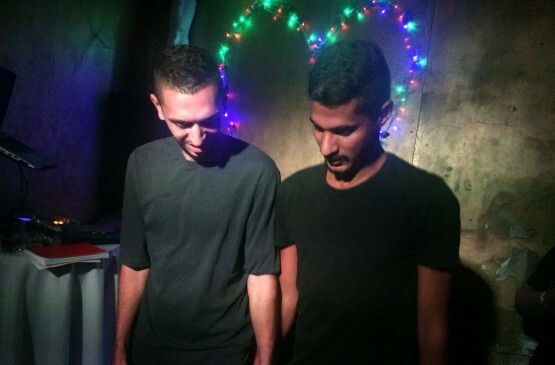 Ran Brown is an independent dance scholar based in Tel Aviv. 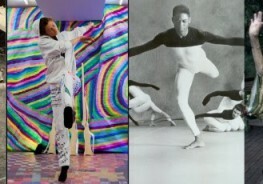 Brown lectures on Israeli contemporary dance in various frameworks, including SEAD-Salzburg Experimental Academy of Contemporary Dance; JAMD - The Jerusalem Academy of Music and Dance; and Thelma Yellin Arts High School. In 2010, Brown founded the online journal ‘Maakaf’ for performing arts and served as its co-editor until 2017. In 2012 he headed the research program at Kelim Choreography Center, which culminated in the 2014 publication of ‘Place for Action’, a collection of essays on contemporary dance which Brown edited. The essays examine the creative processes of students in the choreography program at Kelim. Currently, Brown is focuses on creative consulting, curating, and developing frameworks for theory and discourse. Spots are limited, registration required to secure a spot. Tuition: 720 NIS for 12 meetings. We accept checks or bank transfers. Payments can be transferred in up to 3 payments. We will start with a short lecture about Yemenite dance and Dabke. 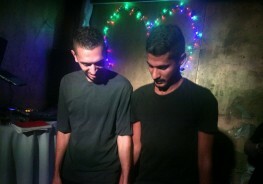 Aftewards, Evyatar Said will dive into Yemenite dance with an emphasis on the footsteps. Yousef Hasasneh will teach Palestinian Dabke. Finally we'll sit together for Friday lunch. The number of places is limited and is subject to pre-registration. A lot of times in dance as in life we want what we don´t have, and we are somewhere with our thoughts while our senses are here ( waiting for us in vain). In this practise we want to focus on using what there is, in the here and now, and open everything else from here. Since sensation happens only in the here and now, we keep insisting on it. And we use performance as one particular possibility of sensation ( I am here, you are there watching me/ I am here watching you, you are there on stage), adn communication of course. Sigal Zouk is a dancer/artist working in Berlin since 1997. She received her training at the Emek Izrael Dance School and joined the Bat-Sheva Ensemble from 1994-96. After moving to Berlin and working with artists such as Luc Dunberry and Juan Cruz Dias de Esanola, she became a member of Sasha Waltz and Guests from 1999-2004. In 2005, she began her collaboration with Meg Stuart/Damaged Goods; first as a dancer and then as choreographic advisor/outside eye for the work of Stuart and Gehmacher as well as Stuart’s following works. In 2007, she began her long time collaboration with Laurent Chetouane in which she created 10 dance and theatre works for the stage. She has worked with other artists such as Boris Charmantz (Musee de la Dans), AWST & Walter, Zeirkratzer, Simone Aughterlony, Ian Kaler et al. During the past few years she has begun to develop her teaching practice where she guides professional dancers to locate their feeling body to a presence that has the potential to navigate in and through any situation. She teaches in several European dance departments and institutions including Tanzfabrik Berlin, HZT ,Hochschule für Music und dance Köln, DDSKS Copenhagen and Ponderosa. Zouk accompanies artists and choreographers such as Jared Gradinger/Angela Schubot, Meg Stuart and Sheena McGrandles on their artistic journey, helping them to work with their limitations and their potentiality. She was awarded the best performer in Dortmund Festival 2010 as well as dancer of the year from Tanz Magazine 2011. This workshop will focus on movement, stillness and what exists between them. We will look at a variety of material, do exercises, ask questions, and discuss the ways in which stationary and moving components shape and define an image. Methods to be applied include: physical exertion as an expression of beauty; simplification or “flattening” of a scene (non-drama, non-psychology); creation of distorted chains of action-reaction-action-reaction; literal use of words; treatment of subject as object (and visa-versa); negation of the link between content and meaning. As an artist, I use performance in the context of stage: methodologies of performance, in tandem with my understanding of the vitality and transience of performing arts, have shaped my understanding of the relationship between the stage and life, between art and life. 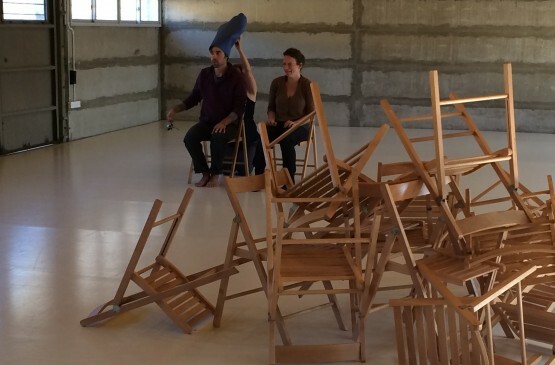 Nava Frenkel, born in Jerusalem in 1979, creates pieces for the stage. Frenkel graduated from The School of Visual Theater in Jerusalem and has a BA in psychology and Jewish philosophy from the Hebrew University. Frenkel teaches directing and performance. Her works include: ‘Learning Songs’ (2016), ‘Palm Tree’ (2014), ‘Now and Never’ (2012) and ‘They Who Are About to Die’ (2010). The workshop is open to people with experience in performance. Please come in comfortable clothing. We live in a reality in which images surround -and indeed bombard- us from every direction: in the media, in art, and in the ways in which we meet and communicate with one another. In a world obsessed with images, is there a way, through the art of dance and by means of the creation of a temporary community, to distance ourselves from the logic of creating and consuming images? The abstract idea presented in this workshop directly challenges the ‘flat image’, ‘narrow thought’, and the linear and simplistic perception of time, space and form. During the workshop we will use the body and the media of dance and performance to practice new ways to perceive our and others’ bodies. We will expose and cover the body, expand it to include things/people external to it, articulate its separateness, and obscure the borders between our bodies and other bodies around us, towards creating a new consciousness. As choreographers, dancer and performers, we use visual images and our bodies as material in the creative process. In this workshop we will try to go beyond the visual, and explore new ways to experience the world (through theory and practice). This is an opportunity to expand the limits of dance, to reexamine how dance is perceived, and to ask questions regarding this form of art, such as: could a movement exist only in our minds, yet still be present and visible in space? During the workshop we will discuss the place of the spiritual and unseen forces/energy/powers in our society. What potential lies in the connection between choreography and the spiritual? Can dance, and art in general, once again become a place for the spiritual, a place that enables us to reconnect with hidden forces and powers? We will practice looking at ourselves and our bodies with more compassion. We will examine the relationships between dance and philosophy, healing processes, transcendent movements, audience participation, formation of a temporary community, and religion. This is an invitation to explore the hidden potential of the abstract, not as form or as a symbol, but as an approach to dancing, creating and experiencing the world. 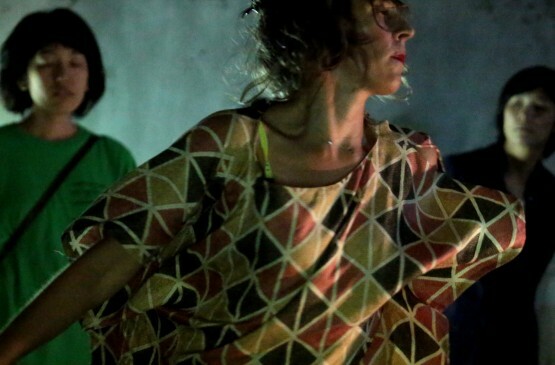 Lilach Livne, artist, explores the connection between movement, choreography, philosophy, healing and community. Since 2012, she has been leading a new movement that opposes the centrality of visual images. Her works explore themes of gender, religion, politics of images, and the abstract. Her praxis is ongoing experimental research. She creates performances, lectures, meetups, books of prayer and video- all with the aspiration to create the ‘non-image’. In 2015 she was invited to participate in a seminar with the dance theoretician Andre Lepecki. She was invited by curators Stephanie Rosenthal (London) and Hicham Khalidi (Brussels) to present her work ‘TRANSCENDING, for peace’ at the Sydney Art Biennale. 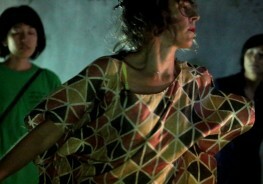 Lilach worked in collaboration with the choreographer Robert Stein (Amsterdam, Mexico), and participated in a conference on dance, performance and philosophy at Coventry University in London with her piece ‘Prayer for the Abstract’ and was invited to teach at the Impulstanz International Dance Festival in Vienna. In her work with at-risk teen girls, Livne applies her research of the relationship between body and image and meeting ‘the other’. As a performer she worked with the choreographer Doris Uhlich (Austria), Deborah Hay (New York), Vincent Ryback (Amsterdam) and others. Livne studied at SNDO- Academy of Theater and Dance in Amsterdam, SEAD- Salzburg Experimental Academy of Dance, and Tel Aviv University, where she graduated with a BA in Philosophy and Gender Studies. In 2012, Livne received the DanceWEB scholarship. She has performed her work all over the world: in festivals, museums and galleries in Israel (Curtain Up Festival, the Acre Festival, Gvanim Bemahol Festival, Diver Festival and the New Dance Festival); and in Venice, Italy, Poland, Romania, Portugal, Brussels, Berlin and Amsterdam. In this workshop I will teach performative tools that I use to expand the range of a “performer’s presences”, and to encompass everything that is happening in one’s body at a given moment. We will immerse ourselves in exercises that combine physical, vocal and textual work in order to reveal the contradictions, mechanisms and internal dialogues between the body that is rooted in the here and now - and the mind/consciousness which may be elsewhere. The workshop is open to performers from different fields: dancers, choreographers, actors and artists. Lee Meir, dancer and choreographer, works in Tel Aviv and Berlin. In 2013 she received her BA in choreography from HZT- Berlin, Inter-University Centre for Dance Berlin. Between 2014-2017 she received grants from the Israeli Ministry of Culture, Berlin municipality, Impulstanz Festival in Vienna, The Lifelong Burning organization and others. Her works are presented at festivals and theaters in Israel (The Diver Festival, Clipa Theater, Gvanim Festival, Tmuna Theater) and in Europe (Tanz im August Festival in Berlin, Tanzquartier Wien Centre for contemporary choreography and performance, Berlin). In this workshop we will examine and experience space and its qualities. Space is central to dance and choreography, as it is where dance and choreography are created and performed. During the workshop we will discuss ideas of radical space and Cartesian space and examine how these different approaches influence the moving body and the theatrical setting in which performer and audience come together. The workshop focuses on the body as a means of communication through movement in space and time; its coordination and its relationship with the material it creates; and ultimately, its integration into performance. Hamilton’s teaching explores the creative process and the technique that enables it. His approach to technique is to inquire how we can apply our imagination, intuition, knowledge and experience, and to introduce into our work knowledge from other fields such as psychology, philosophy and culture. Julyen Hamilton is a renowned expert choreographer, dancer, poet, teacher and musician. Born in England, Hamilton started his career in London during the 1970’s, a period characterized by radical experimental performance, which has influenced Hamilton’s work until today. Hamilton’s work is based on ‘instant composition’, improvisational work into which he incorporates his own texts. Many of his works are collaborations with renowned European musicians. Hamilton is a highly esteemed teacher who expertly provides his students with useful tools to develop their improvisational techniques and creativity. 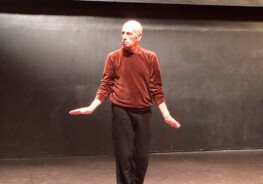 His pedagogy focuses on space, time, voice and dramaturgy. Currently, Hamilton is performing two pieces: ‘The Immaterial World/ Landscape Portrait’, and ‘Interview’ in collaboration with contrabass player Barry Phillips, produced by ‘The Needle’. Julyen Hamilton’s dance company ‘Allen’s Line’ is currently performing ‘Goat Ocean’ in Paris, Brussels and Berlin. In this workshop I invite experienced performers to explore new ways to move and motivate ourselves in relation to our surroundings. How can the emotional/ physical communicate with the material/spatial? We will examine various connections between these realms and employ methods that will raise questions about our surroundings - and our presence within them - toward a new artistic approach. 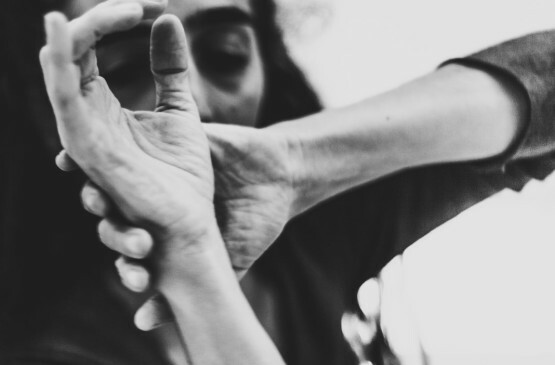 Iris Erez, creator, dancer and teacher of movement, has in recent years been engaged in creating material that deals with the inseparability of the physical and the emotional, and how we experience this in our lives. Erez teaches at the Academy for Music and Dance and at The School of Visual Theatre, both in Jerusalem, and in the past worked in arts management and as an actor. She is the mother of two boys. This workshop arose from the need to address the constant tension between the body that cannot lie, and the illusion performance creates. It arose from exploring the desires of the creator who is also the performer. Is the performer the creator’s messenger or her/his own messenger? 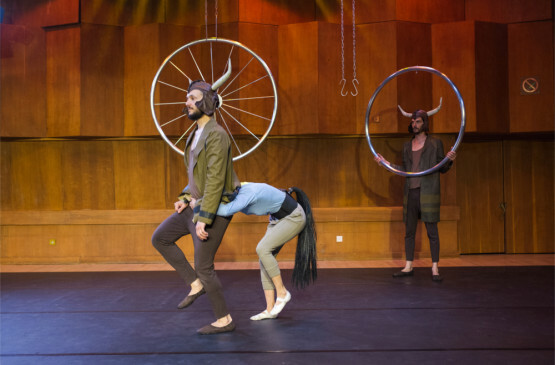 The workshop arose from the need to address the inability to escape the present- the meeting point between the reality of the audience and the illusion of performance, and from the deep desire to understand where the personal ends and the communal begins. The workshop deals with lies and truths - and what exists between them. We will do improvisation and performance exercises to tackle big questions. We will dive into getting to know the ‘self’ a little better and improve our illusory performative abilities. The workshop is for liars who love the truth, and indeed for creators from all fields: dancers, performers, and body practitioners who can look others in the eye, who want to get to know themselves better and guide themselves and others. Sharon Zuckerman Weiser, born in 1977, is a graduate of P.A.R.T.S. - and a creator, performer, dramaturg and dance advocate. She has danced with various choreographers among them Yasmeen Godder and Arkadi Zaides. As a dramaturg she worked with independent artists such as Iris Erez and Hillel Kogan. Sharon is an entrepreneur in the field of dance and has established a few spaces for the professional community of creators for research and work. Since 2017, she has been head of the new choreography program at Kelim Center for Choreography. How do you discover what is in your heart? How do you even start to work? How do you bring your initial concept into the studio? How do you maintain a theme throughout the piece? What tension exists between creativity and structure and how do they support one another? How do we choose a medium to work with? What is the connection between concept and image, structure and format? How do you start putting your ideas in order without getting lost? How do you get lost and return? How do you produce materials, develop them and put them together to create a piece? How do you overcome fear and be present, without getting lost in plans for the future? In this four-day workshop we will explore creativity, methods of work, editing – and the connections between these three realms. We will learn a variety of tools, work methods and techniques, and then put these tools to use and discuss how to build a concept and produce and develop material. The term ‘devising’ was developed in the second half of the 20th century to describe a technique artists could use to create pieces, using their world – their material and intellectual reality- as the main source of inspiration. In Hebrew, this term has a few meanings: to formulate, to prepare, to plan, to develop, to endow. We will clarify what these principles mean in the context of creative work and how to create a personal approach to our creative process. We will analyze and characterize how each one of the participants works, learn how other artists work, open new channels of thinking, and acquire new tools to curate the way we create. The workshop is open to artists and creators from all fields. Yair Vardi graduated with the highest honor from Dartington College of Art, in Devon, UK, with a Bachelors in Theater and Choreography, and received his MA in choreography at UDK in Berlin. Vardi creates in theater as a performer, dramaturg, curator and light designer. In 2005 he established the ‘A-Genre’ festival in Tmuna Theater and was its curator from 2005-2017. Vardi also worked as a curator and project developer at the Tmuna Theater between 2012-2017 and curated all the theater’s special events and festivals together with Nava Zuckerman. Vardi’s works have been performed at the Tmuna theater, Acre Festival, Uferstudios (Berlin), Iceland, and festivals in Berlin and England. Vardi has received scholarships from the Jerusalem Fund, the EU, and the Legacy Fund. Vardi has designed lighting for festivals and artists from various fields in galleries, theaters, public spaces and other performance venues all over the world. The workshop will focus on dance and music originating from two Moroccan tribes: the Berber and Gnawa ethnic groups of the North Sahara. We will first familiarize ourselves with the basic approach to this dance form through preparatory floor exercises to fine-tune our bodies. We will learn basic pelvis and hip joint exercises and study the details of each movement to cultivate a deeper understanding and respect for the form of this ancient tradition. Orly Portal is a renowned dancer, choreographer, dance teacher and dance therapist. Her research of tribal dance and Moroccan folklore has led her to develop a unique language of dance based on creating movement from a relaxed state while honoring each person’s natural ability and each dancer’s body and soul. Her work is a contemporary commentary on ancient traditions and combines elements from various movement disciplines: belly dancing, modern and contemporary dance, contact improvisation, and Feldenkrais. The workshop is suitable for dancers. Please wear loose, comfortable clothing (preferably no leggings). I wish to teach my body to feel, to experience, to imagine, to think and to observe - and through this to include my whole being in the process of creating a dance and performing it. I begin each day, from the moment I enter the studio, seeking to express my current interest in movement, to give shape to my imaginings through the movement of my body- my living and constantly changing body. During my workshop, I will invite participants to explore movement through different parts of their bodies. These focused movements may produce a sense of familiarity and specific images, feelings and thoughts that can be translated into movement of the whole body. The workshop will focus on various aspects of the creation process: examining each movement “phrase” by paying attention to the images and impressions that surface, how they manifest in the body, and what movements they lead us to create. When we create dance, we rely on our ‘movement memory’ that we have acquired through practice and repetition. When we work with the body, movement and imagination are not separate- but feed each other, such that we move back and forth from one to the other throughout the creative process. We imagine our movement and dance the images our mind creates. The workshop is suitable for people with a background in dance and movement: dancers, actors, musicians, dance therapists and martial arts practitioners. Noa Eshkol and Moshe Feldenkreis had a great influence on my work - and I think of them often. My work is also inspired by other art forms: poetry, music, literature and visual art. When I teach, I tailor my classes to the needs of my students. Ponderosa on the Road’ brings together international artists from the expanded Pondi family in a unique situation that aims to share pOnderosa’s creative, inclusive and communal spirit with the Israeli cultural field. This visit will allow us (POTR) to spend time asking questions, learning, working, sharing, performing, and living communally with one another while engaging with the Israeli art community. 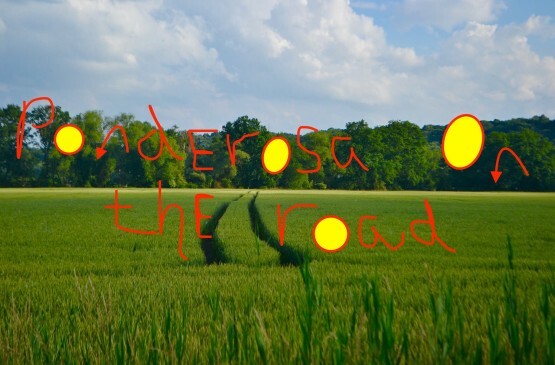 pOnderosa on the road will organise and facilitate workshops, discussions, classes, and performances. Our collective aim is to experience a cultural and energetic exchange with the local creative people and institutions and to create a program that emphasises collaborative processes and community, welcomes diversity, and is accessible to many. 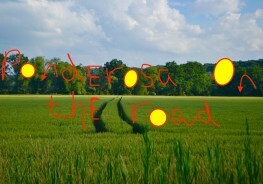 Inspired by its wisdom and range, pOnderosa on the Road has chosen color as its unifying theme. We will offer 3 weekends, each one with different activities shaped by the primary color (blue, yellow, or red) that best describes the particular wave(lengths) we’ll be riding as we bounce off of each other, flood the systems of our bodies, and move together in new ways. The adventure begins with Weekend Blue, which features workshops and a house performance. Radiating from the throat, blue builds community by fostering listening and expression. Its healing and calm energy will open a space for us to slow down, ground and nurture what is needed together. Moving forwards in time is Weekend Yellow. Our first weekend in Kelim brings two days of diving into the muscular and mental energy of yellow with events ranging from a BMC class to free community jams. Just as the sun signals the beginning of a day, yellow indicates excitement and spontaneity. It shines bright from the solar plexus, the home of confidence and joy. Yellow is known as an appetite stimulant, and this weekend will make us hungry for more. Foundational, galvanizing, passionate Red defines the activities of the last weekend. Weekend Red will raise your heart rate and stimulate your survival instincts as we move, create and prepare for Saturday night’s Performance Marathon. Generating fire in our root chakra, this weekend will have us ready to explode in expressions of the deepest self. Harnessed, this power is unstoppable. Looking forwards to the adventure and hope you will join us! What is the connection between writing and dance? Can one support the other, harm the other, change the other? Are they separate entities or do they coexist? What is the connection between writing and dance? Can one support the other, harm the other, change the other? Are they separate entities or do they coexist? As choreographers, we are often asked to describe our works, be it in applications for funding, project proposals or program notes. How can we express an largely nonverbal art form in the written word? How can we wield the written word to further us as artists? 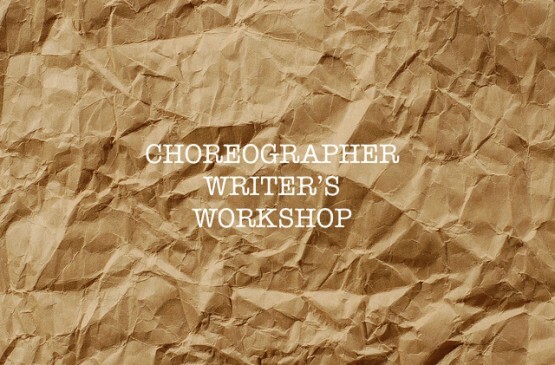 The Choreographer's Writer's Workshop is a symposium in which choreographers can explore different styles of program notes, workshop literature about their pieces and participate in a dialogue about the connection between writing and performance. Become our partners in turning a military warehouse at the edge of Bat Yam [ Israel] into a choreography and cultural center! - It is the home of a two-year-choreography program for dance artists. - It is the only place in Tel Aviv area that offers an artist-in-residence program, where dance makers receive generous support to develop their new projects, giving them studio space, artistic support and other needed facilities. - It is a platform for public performances of different kinds. - It offers workshops and lectures open to the public. - It initiates an annual festival for contemporary dance. - It promotes artistic exchange programs with overseas dance centers, cultivating sharing of knowledge, discussions and cultural exchange. - It invites and hosts leading choreographers from around the world for performances, workshops and public discussions. - It develops research within the local community in Bat Yam creating projects together with different types of public: with the elderly, with youth groups and more. Geographically, the “Kelim” Center is located in a building that was previously used as a military warehouse, expanding over 270 square meters. The space has been transformed into a top-quality dance work-space, offering a spacious studio space, as well as an office area and a large dining area for the people who work and visit “Kelim”. 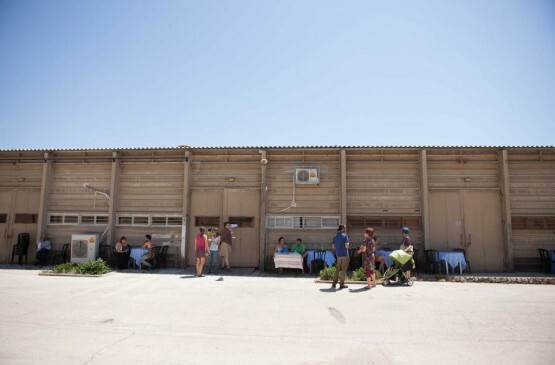 Since its founding in 2013, “Kelim” has become a unique home for professional artists in Israel. We - the devoted team of “Kelim” - are currently constructing another studio space, located right next to the existing one. This new space will be specifically used by dance artists for the purpose of local communal projects in the city of Bat Yam. We would like to invite you to join our unique project of turning a previously military space into a vivid, state-of-the-art, cutting-edge cultural center. With your help and generosity, we aim to raise the sum of 56,000 NIS in order to fulfill this project. For the first time, five intensive meetings with the public in which Michal will share about the world of voice. “Behind the wonder of the voice lies something so essential, in order to discover the essence we must divide and then unite,” Uncovering The Voice, Werbeck. The meetings will focus on: getting to know the body of the voice, from vocal exercises to discovery and experimentation with the voice as a substance in the body and the space. Tools for group vocal improvisation, familiarity and expansion upon spacial resonance, suggestions and explorations with voice, body and space. The classes will develop an internal research alongside group work geared towards all types of stage performers. As such, the course is open to people who will meet the world of voice for the first time as well as individual with vocal experience. *Participants who are not part of the Choreography Program will be accepted based on a conversation with Michal. Michal Oppeheim is a stage performer, singer, composer, teacher and interdisciplinary artist. She was a founder of the Givol Chorus, an experimental musical ensemble that investigated the voice through creations based on improvisation as well as original compositions. Her performance and sound installations have been presented in festivals, galleries and museums. Michal was a collaborator on albums and recordings of artists in Israel and abroad. In 2014, she released her premier album “Michal Paulina, Playlist.” In the past year, Michal participated in the performance “The General and the Sea”. She is the vocal coach of the production. Currently, she is creating “Siren’s Circle”, an evening of original a cappella material. She is collaborating with the director Ilel Lev-Canaan on a new staged performance. Created a new work with choreographer May Zarhy that premiered in September 2015 as part of Diver Festival. In this series of workshops, Daniel Landau, together with interdisciplinary guest lecturers, invites you to investigate ways of navigating the body in its digital state. In this series of workshops, Daniel Landau, together with interdisciplinary guest lecturers, invites you to investigate ways of navigating the body in its digital state. In the workshop, we will perform, move, learn, cook, photograph, read, project, write, and sleep at the Kelim Center in Bat Yam. Invited to this workshop are choreographers, creators, and media artists who want to investigate and react to the digital state and its influence on the body and language. Each workshop will begin on Friday at 10:00 and end on Saturday at 22:00 with the opening of the hangar doors we will open the doors for a public presentation of outcomes of the workshop. In this workshop we will investigate the body's part in the processes of learning, memory, and the transfer of knowledge and how technologies, which increasingly blend into our bodies, affect the knowledge that the body produces, transfers and processes. 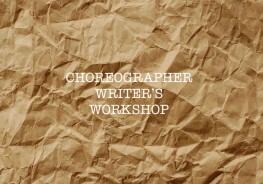 The workshop is open to choreographers, creators, media artists, and educators. Daniel Landau in collaboration with Eran Hadas. 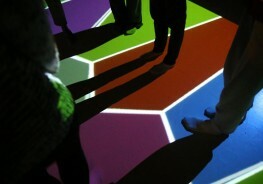 This workshop will deal with the thinking body and its interaction with digital computation. We will become familiar with algorithmic thought and practice. We will investigate how thought can become a tool for working with the body. Daniel Landau in collaboration with Dr. Doron Friedman and Shalev Moran. This workshop will deal with the disappearance of the political body within virtual space. The workshop is open to choreographers, creators, and media artists who are interested in experiencing and researching the potential hidden in virtual technology. Daniel Landau is an artist, lecturer and media researcher. He is a graduate of the Dutch Royal Conservatory in the area of composition and new media. Daniel is a lecturer of new media at the Beit Berl’s Faculty of the Arts- The Midrasha and serves as a research colleague at the Laboratory of Mind-Machine Games at the Multi Media Center in Hertzliya. In his work, Daniel investigates the relationship between technology, body and society through critical reading of the techno-political processes and the stress it creates within the individual space. Daniel utilizes a variety of different disciplines such as media, exhibits, video, embroidery and site-specific installations. His works have been in festivals and museums in Israel and around the world. Eran Hadas is a programmer, poet, and web artist. He is he author of six books, one of the builders of the documentary robot Frankie, one of the designers of Mind Your Poem, which writes poetry through brain waves, the creator of an imaginary Internet poet Tze'ela Katz, a member in the group 'Turing Girls', the author of the palindrome 'Only A Miserable Idiot Swallows Cold Ketchup', and the digital poetry books 'People You May Know," and "Code." He is also a member of "Culture Guerilla," and has organized the poets’ protest against the biometric database. Dr. Doron Friedman is a lecturer at the Sami Offer School of Communications, the head of department of virtual research, and is a collaborator in several international research projects in the areas of virtual reality, mind-computer communication, and man-machine communications. His doctorate thesis at the Tel Aviv University School of computer sciences dealt with the formalization of the cinematic language. He then completed his post doctorate in the Virtual Reality laboratory at UCL University in London, where he holds an honorary lecturer degree. Shalev Moran is an artist, curator and game designer. He is the director of the gaming program of the Print Screen Festival. He is a graduate of the excelled program of Tel Aviv University’s Humanities Department. His body of work includes street art, performance art and new media. The workshop is based upon two assumptions. In order to become conscious choreographers who understand their work and not just “feel” it, one must decode the concrete work methods of the choreographer. The workshop is based upon two assumptions. In order to become conscious choreographers who understand their work and not just “feel” it, one must decode the concrete work methods of the choreographer. In order to create relevant, updated dance, one must become familiar with the history of the field and place oneself in relation to that history. Over the course of the workshop, we will uncover a set of tools that will allow us to extract different choreographic methodologies. From these methodologies we will build and possible creative models and review the qualities of each model. Lior Avizoor works as a dramaturge, curator and editor. She is a PhD student at The Tel Aviv University. Lior danced and created performances throughout Europe, Mexico and the U.S. Since she returned to her native Israel she acts as the co-editor of the online magazine Maakaf and is involved in initiating conferences and publications. Current teaching activities include Beit Zvi Theater Academy and the Kelim School for Choreography. She is a co-artistic director of the Room Dance Festival and the curator of the Kontrapunkt Series at the Tel Aviv Museum. Netta Yerushalmy sculpts and arranges simple yet unique movements into extraordinary shapes and formations. Netta Yerushalmy sculpts and arranges simple yet unique movements into extraordinary shapes and formations. The dances she creates are comprised of a wide range of ideas and expressions that exist exclusively and nonverbally in the bodies of her dancers. She attempts to strip down human gestures and movements with the knowledge that this task is in essence impossible. Her dances exist within an ongoing dialogue with simplified drawing, avant-garde writings, non-naturalistic theater and hyperaesthetic cinema. Netta hopes that audiences the occurrences on stage for what they are and not as things-as-we-try-to-understand-and-interpret. She attempts to challenge the ways in which meaning is given to different things. The goal is for the dances to feel unfamiliar, that the audience’s aesthetic experience will not be positively reinforced rather that it will shake the foundation. The participants of Netta’s workshop will learn and explore a wide range of compositional strategies. The choreographic work will focus on broadening creative horizons and sharpening each choreographer’s image of space and physical materials. Netta Yerushalmy is a dance artist. She has been based in New York City since 2000. Her work aims to engage with audiences by imparting the sensation of things as they are perceived, not as they are known, and to challenge how meaning is attributed and constructed. She has received various important prizes for her work and has been invited to present work in North America, Europe and Israel. As a performer she continues to create and perform with notable stage artists. Netta teaches and choreographs with university students, festivals and in other educational settings in North America and Israel. The workshop will explore the possibilities and potential for interaction with the community via creative processes. The workshop will explore the possibilities and potential for interaction with the community via creative processes. 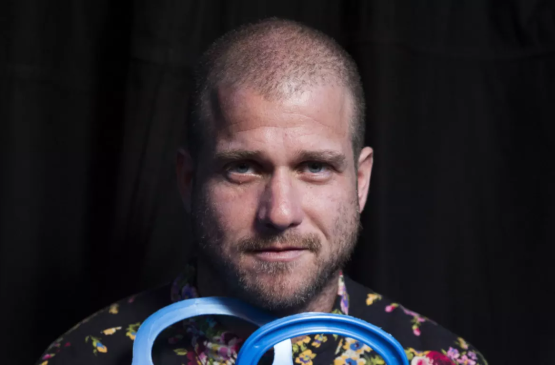 Interdisciplinary artist and social entrepreneur Adi Yekutieli developed an original and innovative model for the realization of community projects based on artistic methods. As the founder and director of the Association for Art in the Community and Cross-Cultural Dialogue (est. 1998), Adi has developed and produced more than 200 community art projects in Israel and abroad, which presented communities with creative forces and a basis for affecting change. His projects involved at 500,000 participants across age groups and cultures. His unique and varied work methods with communities strengthened each community’s internal interactions while focusing in on finding solutions for that community’s particular problems. 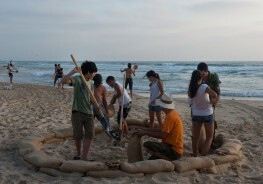 After years of developing and leading independent projects, Yekutieli began to demonstrate his ideas in collaboration with municipal and other bodies. During this phase, he was able to enlist relevant institutions (municipal, organizations, migzar hashlishi, funds and businesses). Thus the collaborative work model was born, which is based upon the cooperation of many bodies in the name of making significant change, pooling resources and achieving mutual goals. The majority of Yekutieli’s professional experience was gained in development, motivation, building partnerships and executing public endeavors. These projects bring to the surface the needs of the environment and community and aim to break boundaries and close cultural gaps. The projects incorporate groups of all ages in aesthetic, didactic dialogues and become enjoyable experiences via artistic language. Among the projects he led: direction of the activities and public involvement field in the 100 year celebrations of Tel Aviv, “Sea Air” Artists’ Settlement in Bat Yam, direction of the Arts Year of Tel Aviv Jaffa 2012. Adi founded and directs the Art in the Community Program at Shenkar College’s school of continuing education in collaboration with the Rothschild Caesarea Foundation. Over the course of the meetings, we will attempt to linger in the space between physicality and concept in order to experience our physical intelligence and how it can support our choreographic work. Over the course of the meetings, we will attempt to linger in the space between physicality and concept in order to experience our physical intelligence and how it can support our choreographic work. Using simple exercises with clear parameters, we will try to establish a common vocabulary to discuss connections between image and experience, thought and movement. May Zahry is a dancer and choreographer living and working in Germany and Israel. May created her first work for the Shades of Dance Festival 2001 under the artistic direction of Naomi Perlov. In 2002, she moved to Holland where she studied at the Dance Academy of Rotterdam. 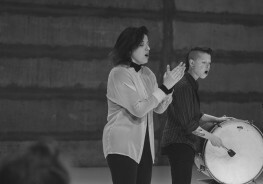 In 2005, May was the assistant choreographer to William Forsythe. In 2007, she participated in ex.e.r.ce07, a project directed by Mathilde Monnier and Xavier Le Roy in Montpellier, France. 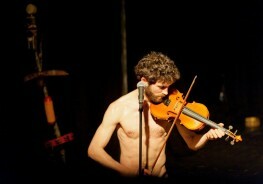 In 2009, together with Frabrice Mazliach and Vianice Madfornice, May founded the collective MAMAZA, which went on to perform in international festivals. In parallel to her work with the trio, May choreographed and collaborated with multiple artists and is currently working on a new creation with musician Michal Oppenheim that will premier in the Diver Festival in September of 2015. In addition to choreographing, May teaches workshops and gives lectures to dance and architecture students on choreography, space and physical practice. Among others, May teaches at the Simulator Program and the Maslool Dance Program. The Schuhplattler is more than just a traditional courtship dance from the Alpine region and should no longer be only reserved for men. So how can we change it? We will learn traditional Schuhplattler, invent new ones and enrich it with related forms such as body percussion, contemporary dance, improvisational elements and ritual practices, without losing the fun and group dynamics of folk dances. But it is not only the Schuhplattler! We experiment with yodeling, Juchatzen, traditional clapping rhythms (Paschen) and whiping! Same here: we will learn the traditional form and combine it with other elements. In the workshop technical, spiritual and ritual aspects as well as healing approaches of these traditions are taught.